Hi there! 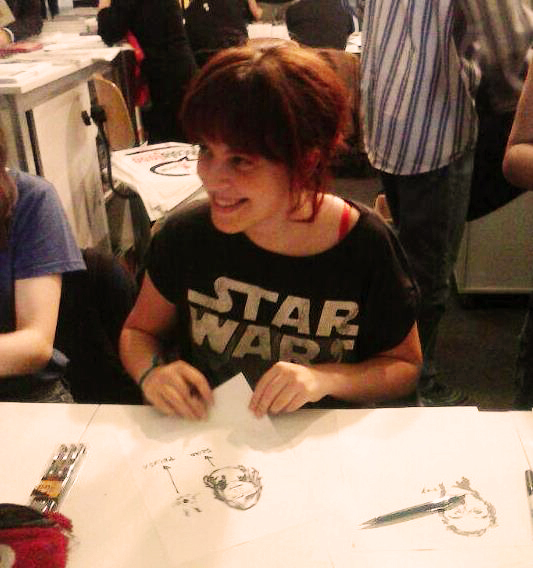 My name is Kry García and I am a Spanish illustrator, comic artist, sometimes a writer and, in short, a story-teller. Although I like experimenting with different media, I still love to work on paper and ink and I spend most of my days filling sketchbooks with doodles in London, where I live. Some of the things I enjoy when I am not creating are reading tales from all over the world, listening to rock and folk music, saying hi to dogs, chasing cats and begging them to love me, taking pictures of strangers’ gardens and watching horror movies like there is no tomorrow. If you want to contact me, please feel free to send me an e-mail to kry.garciagarcia(at)gmail.com. Make yourself at home: social media links are at the top, the blog can be found in the menu and make sure you subscribe to the newsletter. Enjoy your stay and, above all, have a lovely day.